Ever since I started following cricket, I don’t know why I became a fanatic of this guy who has been an epitome of grit and determination for over a decade now.’DADA’ as he is known amongst his fans and fellow mates, has been a true source of inspiration and role model to many like me who follow cricket not just with heart, but with mind. The south paw comes from a royal family from Bengal. Despite him being a Maharaja, the man did not crave for the crown but wanted to carve out a path for himself unlike many other Indians who enjoy being a nepotist.Sourav Chandidas Ganguly was not just an ordinary Indian but he was a true warrior, not on the battle field but on the cricket field. Like every other typical Bengali ,Ganguly was also a football enthusiast. He played for Mohan bagan one of the top most football clubs in India. It was his brother Snehashish who inspired Ganguly to become a cricketer. It is also a fact that Ganguly was a right handed batsman who later started batting left handed so that he could use his brother’s gloves. A blessing in disguise which many believe.Ganguly made is debut in 1992 against west indies. He had a terrible series down under and was later shown the doors.Ganguly, a man famous for comebacks made a reentry to the team only after 4 years in 1996 in the tour of England. Ever since then, there was no looking back. He made centuries in back to back matches against a grisly England attack. His stylish and flamboyant batting in that tour earned him the name of ‘GOD OF OFFSIDE’.Ganguly is also known as ‘Prince of Calcutta’,’Royal Bengal tiger’ amongst his fans. In early 2000,Indian cricket’s credibility was questioned when few of our so called demi-Gods where caught in match fixing allegations. Our reputation was at stake. The likes of some of the greats like Sachin, Dravid,Kumble refused to take up the responsibility to captain the Indian side. It was Ganguly who put his hands up and decided to steer the ship from the front. It was when the Australians toured India that the world realized that Ganguly was not just restricted to flawless batting tearing oppositions apart but he was most able and one of the finest captains that India was ever to produce.Ganguly’s aggressive captaincy was something that Indian cricket had never dreamt in the wildest of its dreams.Ganguly was not just street smart on the field but was also off the field. His late entry for the toss against Australia not just once but 4 times in a row dumbstruck Steve Waugh, the then Australian captain. He was a king at mind games. Also, Off the field, his interactions with the media, his fans, and detractors were uncompromisingly honest and earned him the respect of cricket followers everywhere. Ganguly has led India to many victories which included 2000-ICC knockout trophy,2002 NatWest trophy and 2003 WC finals being most noticeable ones.Ganguly was dropped from the Indian side owing to his most infamous spat with then coach Greg Chappel.Although many believed this was the end of the road for Ganguly,he the man with great determination and passion wanted to prove his mettle. 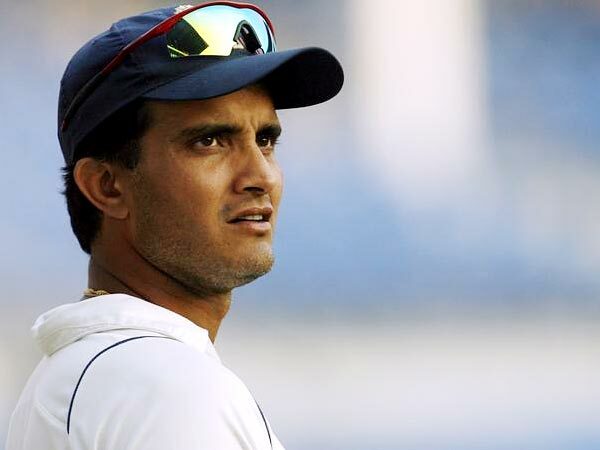 Following India's poor batting display in the 2006 ICC Champions trophy and the ODI series in South Africa, in which they were whitewashed 4-0, Ganguly made his comeback to the Test team. During his first Test innings since his comeback, against South Africa in Johannesburg his score of 51 helped India to victory, marking the first Test match win for the team in South Africa. Though India lost the series, Ganguly accumulated the most runs on the scoring chart. After his successful Test comeback he was recalled for the ODI team, as India played host to West Indies and Sri Lanka in back to back ODI tournaments. In his first ODI innings in almost two years, he scored a match winning 98. He performed well in both series, averaging almost 70 and won the Man of the Series Award against Sri Lanka. On 12 December 2007, Ganguly scored his maiden double century of his career while playing against Pakistan. He scored 239 runs in the first innings of the third and final Test match of the series. He was involved in a 300 run partnership for the fifth wicket with Yuvraj Singh.Ganguly remained prolific in both Test and ODI cricket in the year 2007. He scored 1106 Test runs at an average of 61.44 (with three centuries and four fifties) in 2007 to become the second highest run-scorer in Test matches of that year.He was also the fifth highest run-scorer in 2007 in ODIs, where he scored 1240 runs at an average of 44.28. Ganguly gracefully retired in November 2008 after a terrific series against Australia. Apparently it was the same series when when another legend by the name Kumble had also hung up his boots. In his final series Ganguly led India to a series win against the Aussies at home. He was adjudged the man of the series. The great Indian saga had come to an end.Althogh Ganguly might have retired from cricket, he still remains in the hearts of his fans as one of the finest and most respected cricketer of all times that world has ever seen. Man, simple awesome note about him. I hope he is well qualified to lead Team INDIA from the Coach position if BCCI is not too particular about the Foreign coach mania!! Mainly team INDIA & BCCI needs his presence than anyone to set right the differences in opinion. Truly, Ganguly discovered a GEN-Y line-up for Team INDIA n his followers( Kumble, MSD etc.) rediscovered the potential in them. Let the bengal tiger not only roar from the commentary box!!! n mainly his flair to be attached with cricket even after his retirement is commendable!! !